Fan engagement is a moving target. Fans change, and their options for content and channels grow every day. You’re always competing for eyeballs and filling seats. How do you evolve your business with your fans to deliver the best experience possible, and keep them passionate about your team? The LA Galaxy—winner of 5 MLS Cups—has partnered with GlobalLogic to build a digital platform that provides a foundation for growth and development. 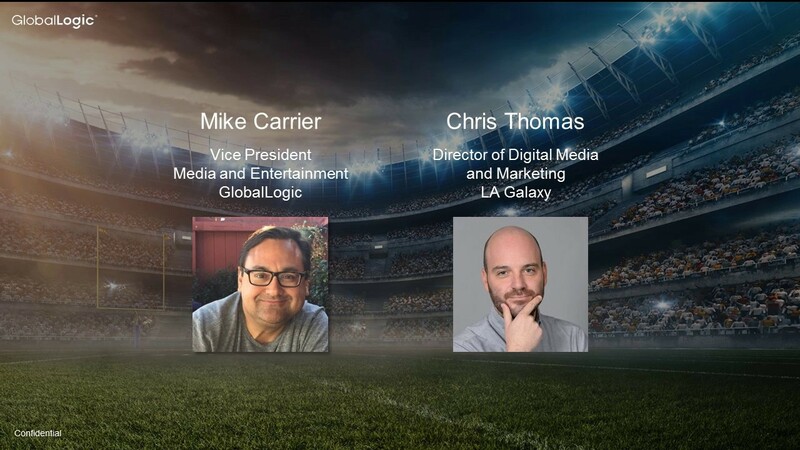 In this webinar, Michael Carrier (VP, Media & Entertainment, GlobalLogic) and Chris Thomas (Director, Digital Media & Marketing, LA Galaxy) talk about the challenges and solutions around building a digital fan engagement platform, from defining the scope with input and feedback from fans, to future-proofing your platform for scalability and emerging technologies.